Descenders (Steam, Xbox One), despite how modern it feels, reminds me more of the old freeware and webgames I played at the turn of the millennium. 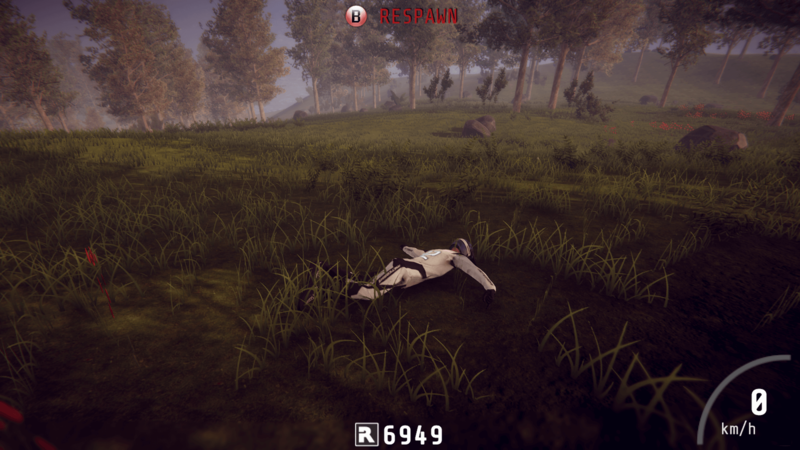 Whether it’s the various motorbike physics games, general physics, or run-based web games, Descenders just has that simplicity. I’ve been playing around with an early build, which is likely lacking in features, due to the nature of Early Access, but is extremely easy to just jump into. When I was playing those games, I’d start anew most times rather than saving, and restoring content — finding the immediacy of the gameplay more interesting due to the limited content in the games. The game is simplistic in its choices; choose the level that is North, South, East or West. It plays about 90% of the way you want it to, I have spent most of my time messing about within the initial starting area, just building up speed and trying to do flips; it can be as fun as the actual, objective-based races. This is everything the game has, it’s a limited aspect, but it nails the physics and the inputs in a way, that is immensely replayable. I was reminded of the time I spent playing SSX 3 on the Original Xbox and the various motorbike physics games of my youth, of the fact that — despite my inability to grasp the controls — I played a lot more of Dave Mirra’s BMX 2, than I did of other BMX games. My time wasn’t spent trying to progress the objective, but taming the controls, which felt much more rewarding than the other games. When I played SSX 3, which introduced an open world into the series, I found that I spent most — if not all — of my time in the open world searching for the collectables, and only completing races when it blocked progression. A similar fun was found in the Tony Hawk games once flatland tricks were introduced. These allowed the player to continue tricks in almost perpetuity after the timer had run out, right up until the point when the player landed or bailed the trick. I don’t know if this was common with other players of the game, as I was the best at the game in my group of friends, and by the time more of us played the game, the series had evolved past the two-minute timers, and had introduced a plethora of connective moves which would proceed to extend combos to ungodly numbers. It could often feel less like the miracle of landing, but more of an overload. 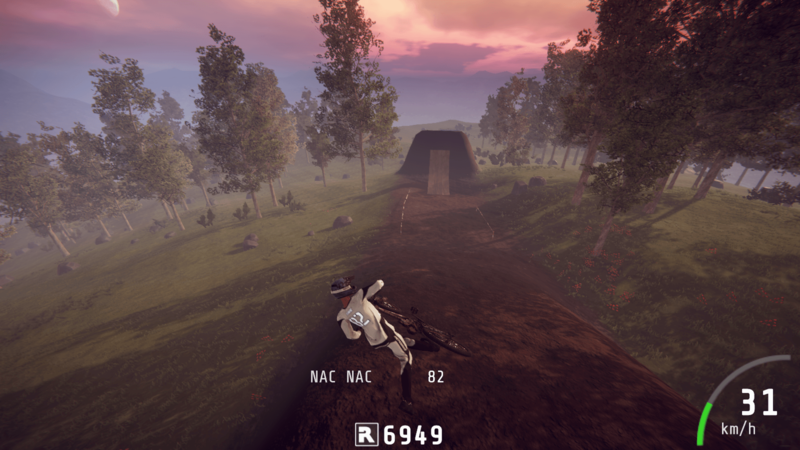 Descenders reminded me of what I enjoyed about the “Skate.” games, in which landing a clean trick was more of a challenge rather than a simple button press. My most memorable combos in Skate, are three to four tricks long, and are barely linked, rather than the rigid, ollie trick, grind manual ollie trick grind ollie grind, of the Tony Hawk series. Similarly I have been playing the Forza Horizon series for the last six years, after bouncing off of the first entry, it’s less so for the racing aspect, solely for the dumb open world extra stuff like boards you can drive into, and ramps you can drive off of, the exact same things I did in Burnout Paradise, which is a game I’ve put at least 30 hours into over the ten years it’s been out, but haven’t actually entered any races past the first license test, neither have I managed to find all of the gates/billboards. I’ve seen video of that game, highlighting areas I’ve never even seen. The amount of races I’ve completed, per entry in the series, is a declining number which is offset by the other tasks at hand. 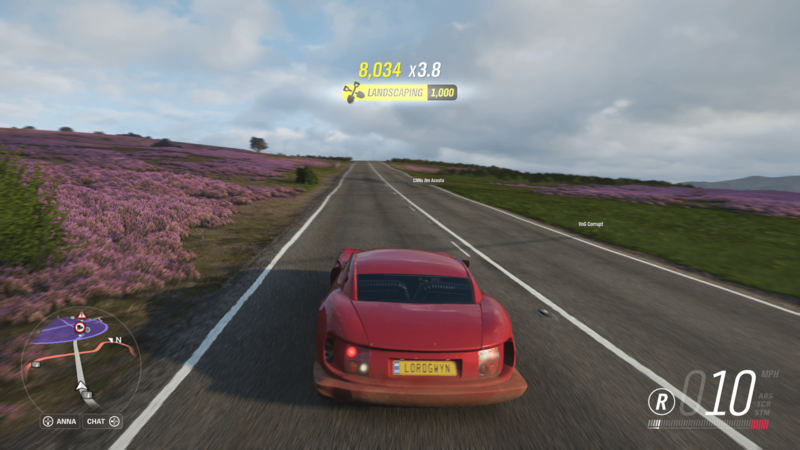 With the progress in the current entry (FH4) only amounting to that of enough to escape the prologue, it’s less about racing for me and more about causing havoc. When progress can be tied to free-roaming mayhem, I’m more likely to bypass the narrative, until I’m ready. In writing this it’s pointed out just how often I gravitate to messing around in open world games, it’s tied to those with specific non-walking traversal methods, as I’ve failed to put excessive amounts of time into games with on-foot, on horse and in car sections. Give me a grapple or a zipline, and I’m more likely to zip about chaining movement than I am to mainline the story and stop, the score is the least important part.